March is National Nutrition Month. Across Minnesota, University of Minnesota Extension is working with schools to support the continued success of the National School Lunch Program, from providing support for Farm-to-School programs, to training opportunities for Smarter Lunchrooms, to connecting the food served at lunch to the nutrition it provides through education in the classroom. The phrase “school lunch” conjures up different emotions for people. 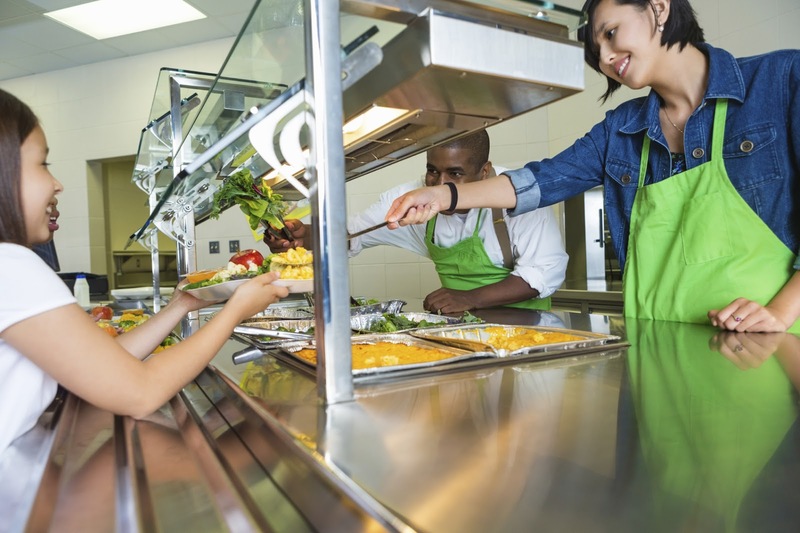 The noon meal served in schools across the country is often used as the punchline in TV shows and movies, but what’s not a joke is the importance of the National School Lunch Program (NSLP). In 1946, the United States Department of Agriculture (USDA) established the program as a response to the scarcity of food during World War II to increase the health of America’s youth. Since its inception over seventy years ago, the program has undergone changes and looks different for the students of today. Where is the NSLP at now and what’s changed over the years? To answer these questions, we must understand who decides what lands on a student’s lunch tray. The USDA provides funding for the meals and sets the guidelines for what schools can serve. From the 1980’s to early 2000’s, the requirements remained largely untouched. Notable changes came with the implementation of the Healthy, Hungry-Free Kids Act in 2010. The act required an increase in the number of whole grains, fruits, and vegetables served at lunch and ensured reasonable portion sizes for each meal. While there was initial outcry from students about the removal of ice cream machines and deep-fat fryers in favor of lower-sodium and lower-fat food options, the lunchroom change has brought positive results. A 2014 Harvard study showed that school age children ate 16% more vegetables and 23% more fruits at lunch than prior to the change (1). Since the 2010 act, farm-to-school programs have increased the amount of local foods in school cafeterias allowing local farmers and students to both benefit from healthy local produce in schools (2). In 2018, an alternative rule was put into effect that allowed schools struggling to meet the 2010 requirements additional time to meet the nutritional requirements. Extension continues to encourage healthy food choices in the lunchroom and beyond alongside the guidelines set by the USDA.